With every second review in the Melodic Rock world seemingly having, by law, to contain the word Sweden in it somewhere (that's EU-MHR legislation complied with), it's a pleasure to bring you an album of classy, rounded Melodic Rock that is as home-grown and British as fish and chips, bulldogs and the Royal Family (okay scratch that last one on a technicality...). The band in question is Fugitive, a name anyone in the biker community will doubtless already be well aware of what with the four-piece being regulars at numerous biker rallies across the country. A quick-fire EP, 'Fuelled And Ready', whet the appetite last year before their 2008 debut album, 'In Transit' received a welcome re-issue. However, including all those excellent EP cuts, 'Black Planet' is the band's first full-length release in seven years and not only is it worth the wait, it is also an impressive step-up in class from '...Transit' which itself received many favourable words. 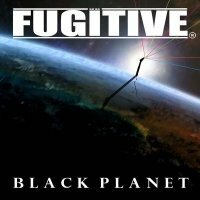 Amazingly 'Black Planet' marks twenty-five years in the business for Fugitive and while they maybe haven't been studio regulars, there's no denying that they've put that time to good use. This is a confident set of songs where a touch of Tyketto grazes a Sleazy strut via sing-along choruses and some clever interludes. The likes of 'Fuel', 'I'll Be There', 'Missing You' and 'Crazy' crank out the riffs with the crackling fret-fireworks immediately setting heads to "bang" and fists to "pump the air". Fugitive are unquestioned natives of this hook-laden habitat; squeals and wails of delight emanating from Ranko's guitar, singer Mikee utilising a cleverly carefree approach to add a swagger that many more precise singers simply fail to muster. High notes aren't a problem, long notes aren't an issue and when married to a powerfully energetic delivery, the effect is unquestionably convincing. Surprises come in the shape of the heartfelt 'Starlight', while the acoustic instrumental 'Daisy, Roger, Zak & The Bumblebee', is one of those unexpected detours that really gives an album character. It is also note-worth that they released the title track as a single with all the profits going to the charity NABD (National Association Of Bikers With A Disability). 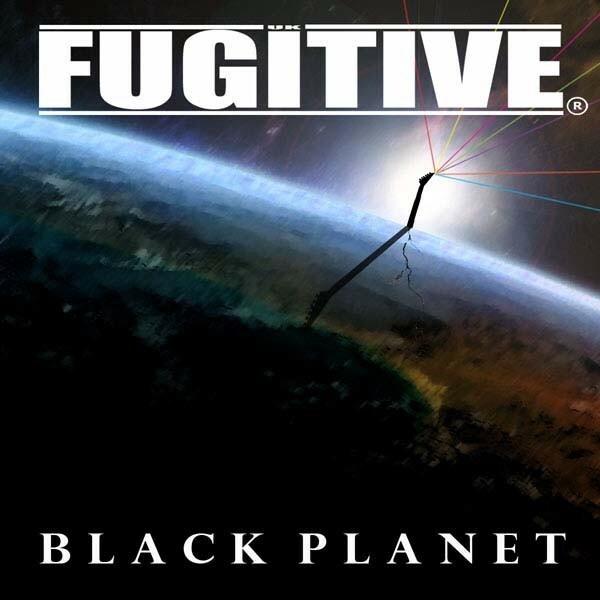 Fugitive are one of those rare things, a U.K. band who truly know how to take the Melodic Rock blueprint and make it their own, thus making 'Black Planet' a beacon of light in the gloom of mundane.